In 1994, out of the blue, I received a phone call from Steve Jobs to see if I had any interest in running Pixar’s business. 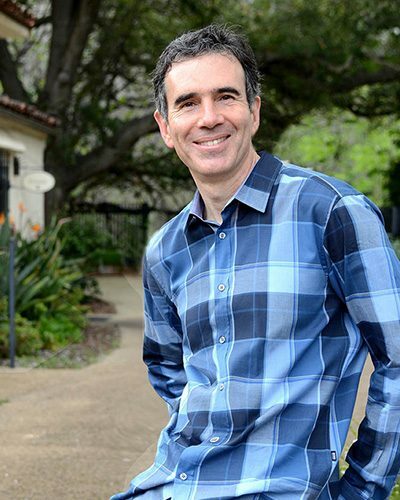 Over the next twelve years, I served as Pixar’s Chief Financial Officer, a member of its Office of the President and later as a member of its board of directors. During this period I developed and put in place the strategy that would transform Pixar from a money-losing graphics company into a multibillion-dollar entertainment studio. I then took a break from corporate life to pursue my passion for eastern philosophy and meditation. I came to see the power of these ideas for realizing our potential as individuals and for creating human-centered organizations that foster creativity, dignity, and excellence. I recently published an article in the Harvard Business Review entitled Finding the Healthy Tension Between Being Confident and Collaborative. I speak regularly on the Pixar story and these topics including talks at Harvard Law School, Harvard Business School, Pixar and Google. My education includes a law degree from Harvard Law School. After moving to Silicon Valley in the 1980s and starting the first technology transactions law practice, I became a partner at the law firm Wilson, Sonsini, Goodrich and Rosati. From there, I joined Electronics for Imaging as its chief financial officer and vice chairman of the board, a company I took public before joining Pixar. In 2003, together with four co-founders, I created a non-profit called Juniper Foundation that focuses on bringing Indo-Tibetan meditation practices to contemporary life. I teach meditation weekly and continue to write and speak on a range of topics including creativity and innovation, collaboration, realizing our potential, and building human-centered organizations. You meet a girl: shy, unassuming. If you tell her she’s beautiful, she’ll think you’re sweet, but she won’t believe you. She knows that beauty lies in your beholding. And sometimes that’s enough. But there’s a better way. You show her she is beautiful. It is hard, very hard, but when she truly believes you, suddenly the story she tells herself in her own head changes. She transforms. She isn’t seen as beautiful. She is beautiful, seen.